Christmas is just about a week away, which seems crazy! 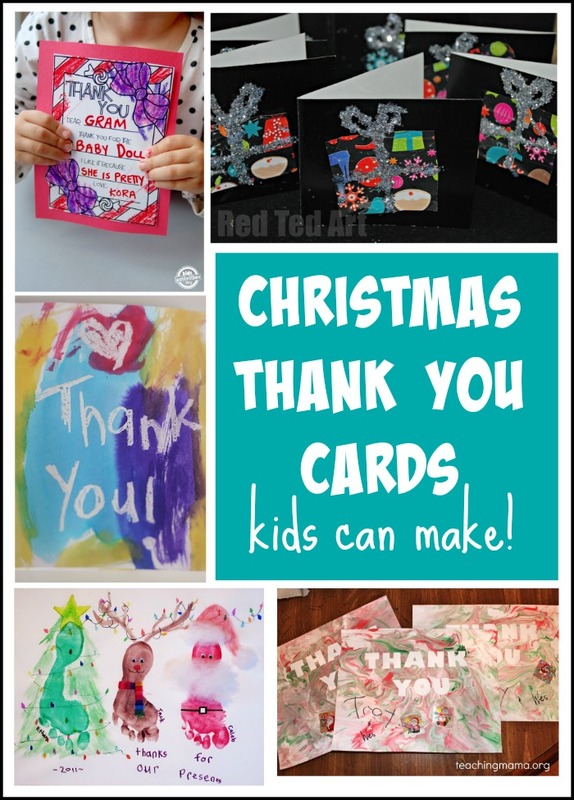 After the hustle and bustle of the holidays, it’s time for kids to start writing Christmas thank you cards. Kids may dread this (especially if they are a little older! 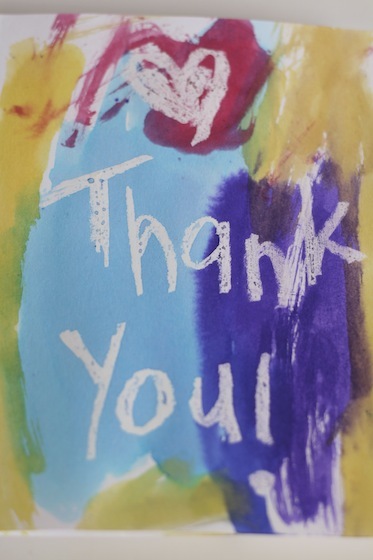 ), but there are some fun ways to write thank you notes! 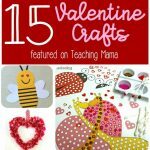 Today, I’m sharing 8 creative ways to write your cards! 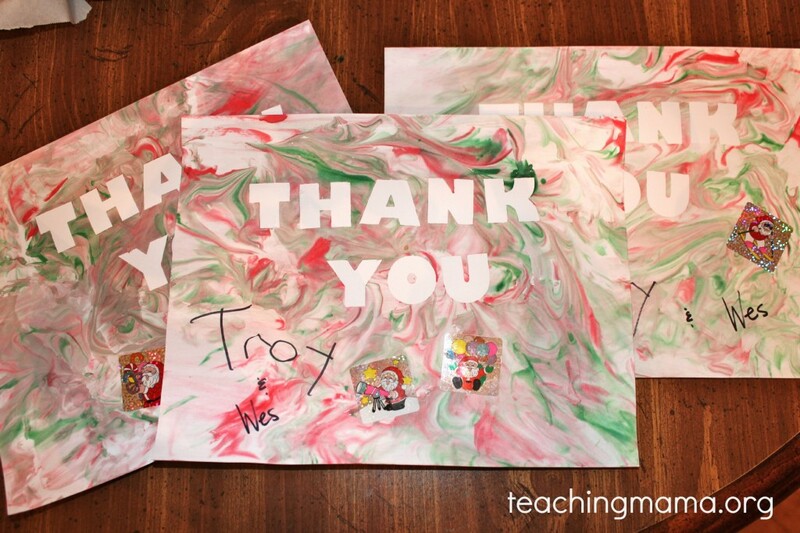 My kids love playing with shaving cream…so why not use it to make cards?! You can read how to make it here. 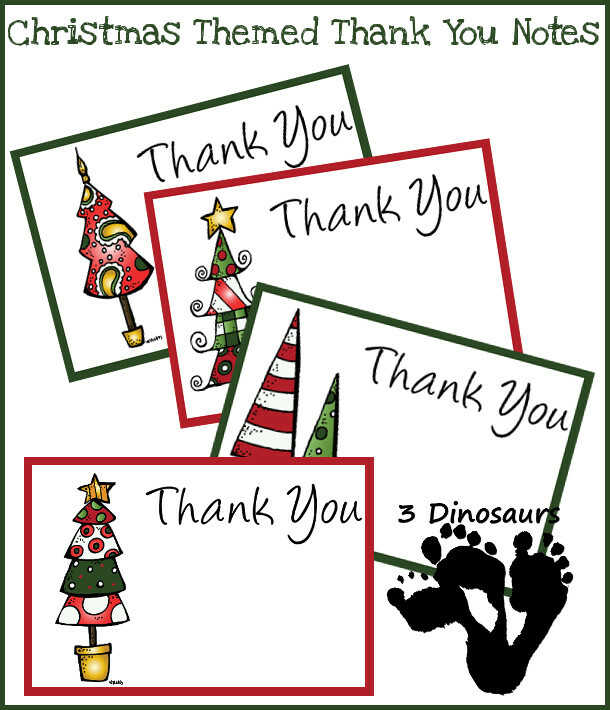 If you need an easy idea, these free printable thank you notes would be perfect! 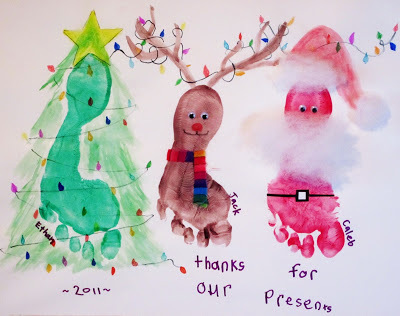 How adorable is this footprint card?! 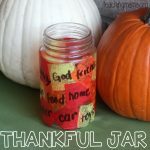 It would take a little work, but it would make a great keepsake for the recipient! 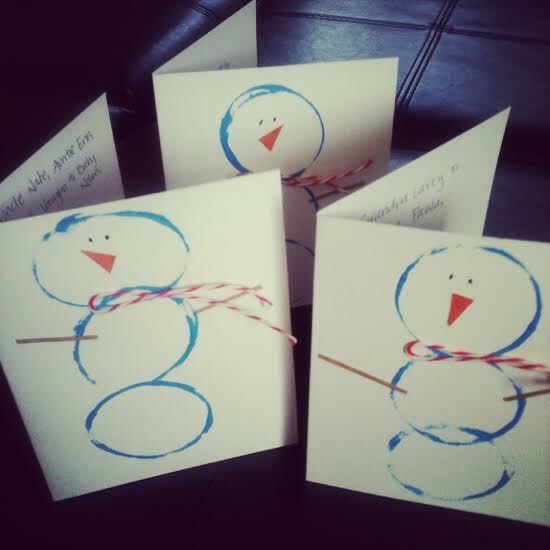 Use a toilet paper roll to create a snowman on a card! So stinkin’ cute! 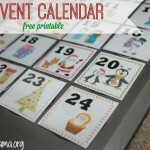 Another easy idea is a fill-in-the-blank card! 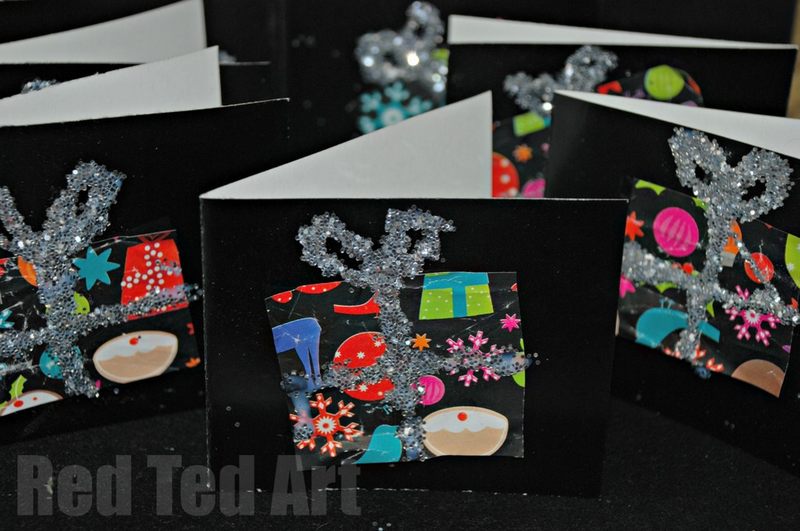 Kids can have fun decorating the cards. 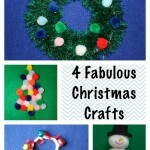 Use your leftover wrapping paper to create a cute recycled card! 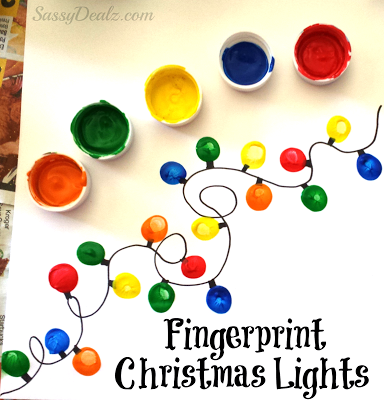 Use your child’s fingerprint to make this Christmas light card. I think it’s adorable! 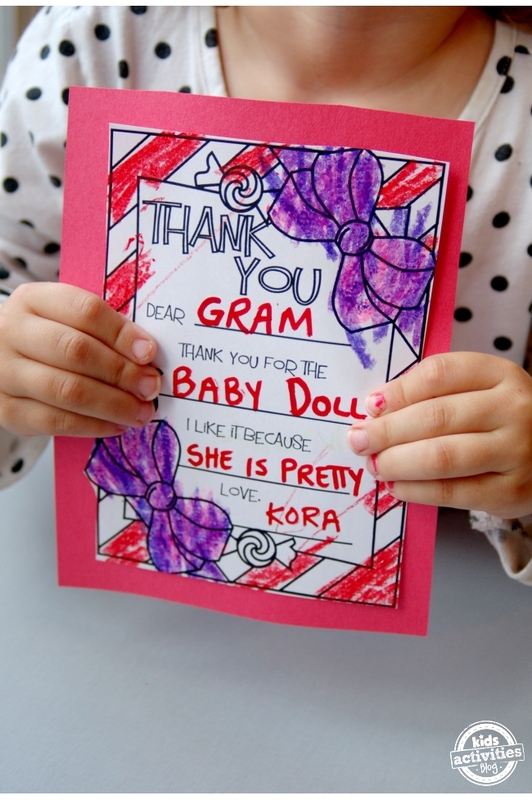 Write or draw on a card with a white crayon, then paint over it with watercolors to make a crayon resist card! 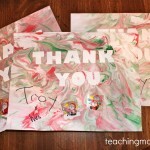 Hope these ideas will inspire you when it’s time to write thank you cards!